1 . Product info The whole set of equipment includes mashing system, fermentation system, cooling system, control system, CIP systems and other components, The vessels for various systems adopt Height to diameter ratio optimization design, all systems use sus304 stainless steel and the argon protection side welding molding technology , thus the inner wall of the vessel welded corners are clean enough to provide quality assurance for the production of high quality puree biological beer. 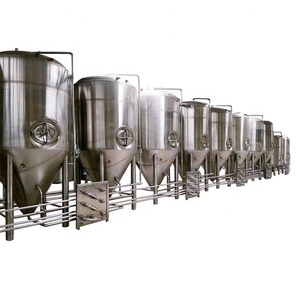 At the same time, the stability of the DCS control system makes the entire equipments high intelligence, it achieves unattended in the true sense,thus it becomes automatic intelligent bio-fermentation equipment to provide a strong guarantee for the production of the bio beer. 2 . Technical specification Outside surface SS,THK:2mm Inner surface SS304,THK:2mm-4mm Top shape Seal head or conical head Heating method Natural gas/electricity/LPG/direct fire Insulation layer Protected by polyurethane ,THK:80 mm Polishing precision &le;0.4&micro;m Manhole Side upward Spral ball In the center of the inside tank Agitator Raking system conneted into a top reducer Chimney On the top of the tank Processing Argon-arc welding 3. Detailed pics as below: CE Certification Let 's drink to our long- term friendship and further mutually beneficial cooperation! TRADE TERM: 1. FOB Qingdao: The above price includes inland transportation fee, Qingdao station fee, and export declare customs. 2. CFR+ Destination port: The price will include inland transportation fee, Qingdao station fee, export declare customs and sea freight to the destination port. 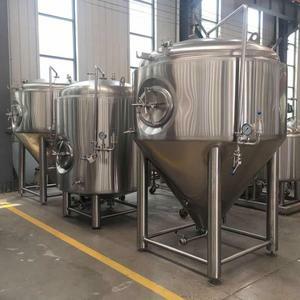 SERVICE TERM: Providing beer production technology and brewing formula, equipment design; Installation, debugging, and personnel training service fee 80usd/day. 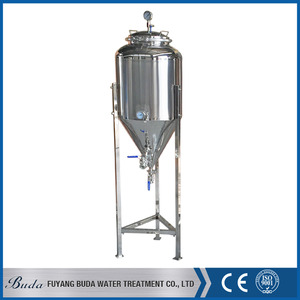 And we have many customers to visit beer brewing equipment , and become our agents. 1. Free of charge the consultation service before, during, and after sales . 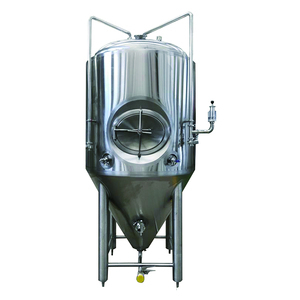 All spare parts and wearing parts are included with the beer brewing equipment for free. Jiangsu Nuvole Glass Products Co., Ltd.
Hotsell golden ULKA pump ESE POD barista expresso cold brew coffee maker with high quality 45MM E.S. E coffee POD use Espresso Coffee maker can use big cup 45MM E.S. E POD coffee machine Model: 350A Parameters: Material: Plastic Voltage: 110-120V/220-240V Pressure: 15Bars (Italian pump) Rated Power: 660W Water tank capacity: 1L Boiler: Enviro Brass N.W/G. 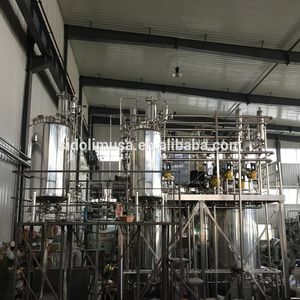 Our Company has been producing and developing food industry equipment for more than 10 years so far and during that time we have earned the reputation of reliable business partner among a lot of enterprises. Our design office and manufacturing infrastructure allow us to produce different types of metal products, hardware, products, automated production lin es for general industrial use. Main types of equipment produced on our plant: - Equipment for production of non-alcoholic beverages and beer (from small brewery to a fully automated factory). This is machine can remove the iron and dust by automatically, and low noise. And the mash tun step heating is automatic, and it controls all the pumps and motor and others. B. All spare parts and wearing parts are included with the brewery for free. 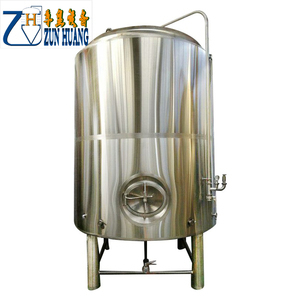 Alibaba.com offers 146 special brewing tank products. About 30% of these are fermenting equipment. 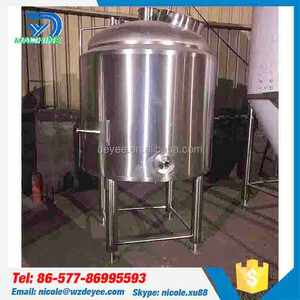 There are 65 special brewing tank suppliers, mainly located in Asia. 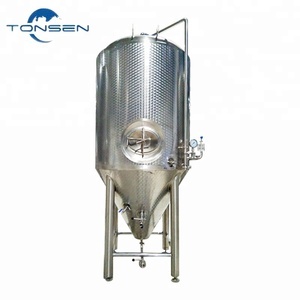 The top supplying country is China (Mainland), which supply 100% of special brewing tank respectively. 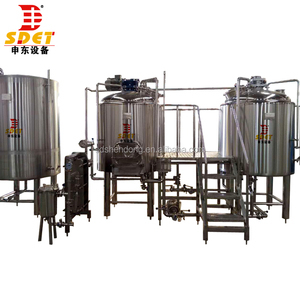 Special brewing tank products are most popular in North America, South America, and Eastern Asia. You can ensure product safety by selecting from certified suppliers, including 51 with ISO9001, 7 with Other certification.